Special days often trigger powerful emotions and memories in survivors regardless of how much time has passed since the death of a loved one. 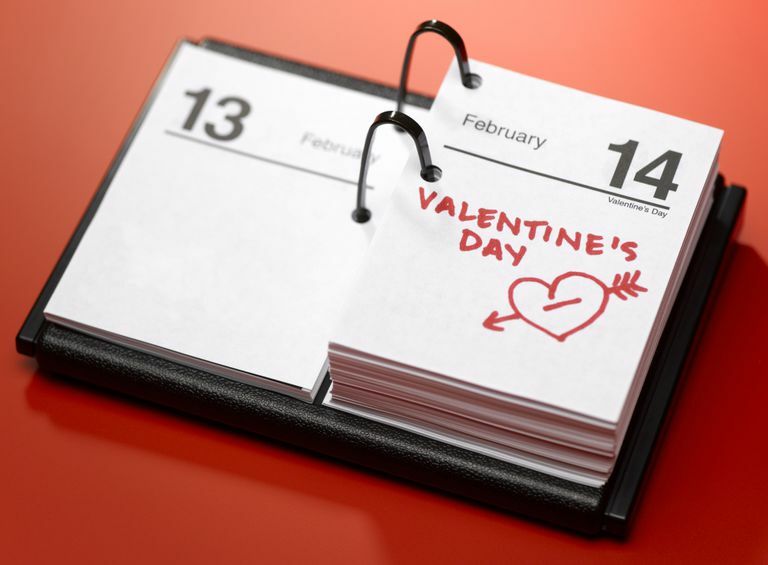 A holiday reaction or anniversary response can occur because you associate a date on the calendar or the event itself with someone significant, such as a spouse, family member, or friend. For anyone mourning a loss due to death, Valentine's Day can feel particularly cruel because it emphasizes the togetherness, love, and romance. Moreover, given its significant marketing and prominent displays of merchandise in stores of all types, it is practically impossible to avoid reminders that the "couple's holiday" approaches. Use these tips to help you cope with the grief you feel on or around Valentine's Day as you attempt to deal with your loss. The pressure to act a certain way adds an unfortunate and unnecessary burden to those mourning a loss to death. If you feel the need during Valentine's Day to conceal your tears or put on a brave face (or, conversely, not to laugh or enjoy yourself at times), then you need to give yourself permission to grieve in your own way. Despite societal pressures—real or imagined—or the idea of the universality of grief stages, there simply is no correct way to mourn the loss of a loved one. In 2008, a study was published concerning the resiliency of people facing potentially traumatic events, including bereavement. The authors expressed the idea of "coping ugly," meaning that coping does not necessarily need to be a thing of beauty—it just needs to get the job done. Do whatever you need to do during the holiday in order to cope. Journaling not only helps relieve stress but can also help you process and organize your thoughts and feelings as you write them down. Whether you express yourself best sitting at your computer or using paper and pen, exploring and recording your innermost emotions and ideas "for your eyes only" often proves therapeutic and can provide insight into your grief response. If you are comfortable with the idea, select a significant memento, reminder, or artifact that you strongly associate with the deceased and, literally, bury it in the ground during a private ceremony that you plan. Whether this involves a particular photograph, letter, matchbook, souvenir, or some other physical connection to your loved one, the idea here is to symbolically and lovingly say goodbye to the deceased and to "let go" of your past relationship so you can move forward. Grief takes not only an emotional toll on those mourning a death, it also takes a physical one. Often, the bereaved person feels exhausted because of poor eating habits, a lack of exercise, or inadequate sleep. If that describes you, then practice some self-love during the holiday by paying attention to your physical needs. If you don't feel energetic enough to prepare a meal, then order out or go to a favorite restaurant. Take your dog for a walk, or invite a friend to stroll around the mall with you. Review guidelines to help you get a better night's rest. Focusing your attention on a meaningful way to honor and memorialize your loved one can help channel your thoughts and feelings in a positive fashion during the holiday. Ask yourself how your loved one would like to be remembered and then make it happen. It can be a physical memorial such as planting a tree in your yard or donating one to a school or church, adding a small "In Memory of..." plaque. But there are ways to honor your loved one that don't require spending money. You could give blood or assist with a blood drive, volunteer your time to help others, or visit and read to those at a nursing home. Give it some thought and you will find a way to honor your departed loved one. You might make this your Valentine's Day tradition. Bonanno GA, Mancini AD. The Human Capacity to Thrive in the Face of Potential Trauma. Pediatrics. 2008;121(2):369-375. doi:10.1542/peds.2007-1648.